Last week, I worked from home and tried to take care of my kids because everyone in my household was suffering from a stomach bug. Later in the day we found out that Prince had died at his house. The rest of the day’s news was about the passing of a culture icon. I imagine most thirty years didn’t grow up listening to his music. I did but it wasn’t really by choice. My stepfather grew up in the 80’s and he was a huge Prince fan. When he purchased a Corvette, the first time he took me out in it he put a Prince cassette in the tape deck so he could blast, “Little Red Corvette,” while we were flying down a Pittsburgh freeway. Another time, when I was in high school, my fiends and I were arguing about our favorite movies. My stepfather came downstairs and asked us if we’ve ever watched, Purple Rain. He proceeded to tall us about how it was one of his favorite movies. We also happened to own both the DVD and VHS copy. That was the night we sat down and watched, Purple Rain. I know it probably wasn’t meant to be funny but it was hilarious to us. This was around the same time, I love the 80s was playing on VH1 and Grand Theft Auto:Vice City, a game that took place in 1980 Miami. This movie turned into a cult classic at my house. 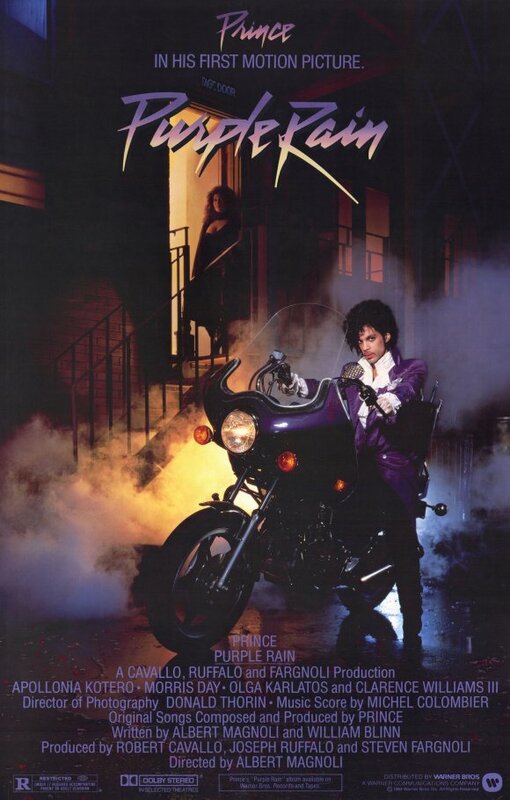 Anyone who’d come over would usually be asked if they’ve ever watch, Purple Rain. Nobody had ever heard of it. That meant I ended up watching the movie almost thirty times during high school. His death got me thinking about that time of my life and it makes me want to watch it again. Anybody I’ve talked to doesn’t believe the Purple Rain story. I might have to watch this movie on this weekend and try to figure out why I watched it so many times. Finally, I think there is a few main lessons everyone can learn from Prince. Even if you’re a kid from middle America you to can choose yourself. You need to care deeply, understand who you are and what you want, and then work incredibly hard on creating your craft. Can everyone have the type of success Prince achieved? Of course not. The thing you do have is the chance. In the seventies, I’m sure nobody thought a kid from Minneapolis would become one of the biggest musicians in the world. He did it by continually taking chances and sharing his work.